Authorities in Jerusalem have given initial approval for 200 new homes in Ramot, in a move that could further inflame tensions with the Palestinians. Ramot is located on the edge of the city, on land captured from the Palestinians in the Six Day War. The Jerusalem municipality planning committee gave the approval on Wednesday. The area where the 200 homes would be built was annexed by Israel in the 1967 war. Palestinians want the land as part of a future state. The project must go through several more stages of approval before construction could start. 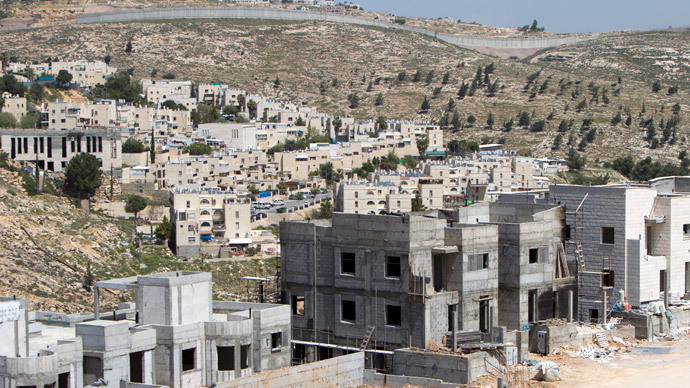 The latest announcement comes on the back of a decision by Israel last month to fast-track the planning applications of 1,000 new homes in the heavily Arab East Jerusalem. The acceleration of the Israeli settlements in occupied lands has drawn widespread international criticism, as well as anger and dismay from Palestinians. Palestinians believe the building of new homes will seriously hamper the creation of a new Palestinian state. The US State Department has said it is deeply concerned at the decision, which would hamper efforts to reach a two-state solution for Israelis and Palestinians. The situation in Israel between Jews and Arabs has been further destabilized in recent weeks due to violent protests among the Arab population, which makes up 20 percent of the Jewish state. There have been long-running clashes between Palestinian protesters and police demonstrating against Jews visiting the Al-Aqsa Mosque compound in Jerusalem. In a growing escalation of violence, Israeli settlers torched a mosque in the occupied West Bank on Wednesday, just two days after separate knife attacks killed an Israeli soldier in Tel Aviv and a Jewish settler in the southern West Bank. “When we got there, we couldn’t even get close because the fire was raging so strongly. By the time civil defense (firefighters) got there, the ground floor was completely burnt out,” Faraj Nassan, a village council head, told AFP.